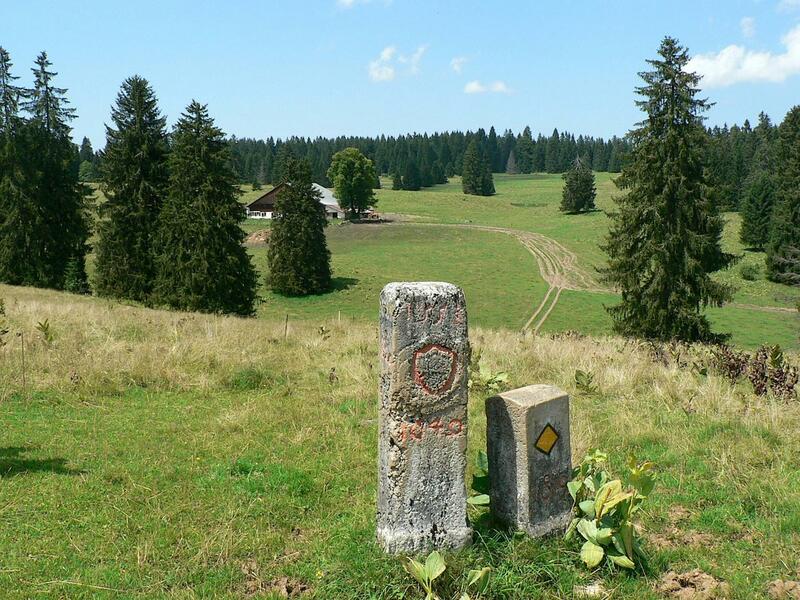 At an altitude of 1,000 m, the Fourgs and Granges de Sainte-Croix plateau in the Jura is split between Switzerland and France and the subject of a longstanding dispute, as evidenced by the many border markers. An educational trail, with 4 routes of 12 to 23 km, tells a fascinating story through 11 information boards. An app is also available for download. The Bornes Trail leaflet is an essential guide for walkers and can be obtained from local tourist offices and shops. This themed map recounts the history of the region while the information boards describe the development of the iron industry and the manufacture of music boxes, as well as the ravages of the war, during which the villagers of Les Fourgs (F) sought refuge in Auberson (CH). At the border post on the site of the Grand’Borne, the views over the majestic expanse of pine trees are spectacular.